Today is the day for knitting and nattering! : The local Knit and Natter group will be meeting at Dudley House (next door to the Hardware Shop) this afternoon from 2.30 pm. Along with your knitting and nattering, you can enjoy a slice of homemade cake and a cup of tea or coffee all for the exorbitant price of £2! They are a friendly group who would welcome new members so why not go along and make some new friends. Tomorrow evening: Friday, sees Handcross Community Choir starting up again after their summer break. They meet in the room above the Hardware Shop (entry to the rear of the Shop) from 6.30pm for an hour. Again this is a friendly group who would welcome new members as new members mean more suggestions of what to sing! Again the cost per session is an exorbitant £2 with proceeds going to the shop! If you would like more information or directions as to where exactly to go, I’m sure Christina can help you. On Sunday: Barbara is holding another Quiz Night in aid of St Catherine’s Hospice at the Victory Inn in Staplefield. Competitors are asked to arrive in time for a 7.30 pm start – food will be available from 6 pm – with teams of up to four people at a cost of £2.50 per person. There will be the usual raffle so whilst you might not be successful in the quiz, you could win on the raffle! If you would like more information, get in touch with Barbara on 400667. 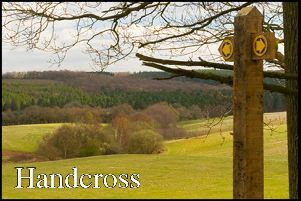 Handcross Ladies Association: will be meeting in the Parish Hall on Tuesday, 18 September from 7.30 pm. This month they will be having a talk on the Volk’s Railway which runs from Brighton Pier to the Marina which should be interesting. They are holding a table top sale on 17 November to raise funds not only for themselves but also Handcross Pre-School. The sale will be in the Parish Hall and if you would like more information about it, possibly to see if you can take a table, get in touch with the committee via their email handxladies@gmail.com. The Rosemary Club: is out and about this month rather than meeting in the Parish Hall; they are off to enjoy an Afternoon Tea at Tilgate Park. The pick-up times are as follows: Staplefield at 1.50pm, 2pm Truggers, 2.05pm Covert Mead, 2.10pm Windmill Platt and finally Pease Pottage at 2.25pm. Fingers crossed that summer lasts until then! Finally: thanks to Ian and Jane and their guests at their London to Brighton Old Cars Run Breakfast Parry along with the Sussex Heart Charity, the village has a second defibrillator. It has recently been installed outside the Royal Oak on the Horsham Road with Handcross Residents Association meeting the cost of installation. Ian and Jane would like to thank everyone who has donated over the past couple of years, as well as the owners of the buildings for allowing the installations to take place (the other defibrillator is outside the Hardware Shop on the High Street). Please do make yourself familiar as to where they are and do not be frightened of having to use them. Should you ever need to use one you will more than likely be instructed to do so by someone from the emergency services and they will guide you; plus there are easy to follow instructions within the box. Spread the word as to where they are, you never know when you might need to use one!